There’s no time to wait when you need an Emergency Plumber. Call John’s Plumbing & Pumps, Inc when you first spot signs of water damage requiring emergency plumber services. Situations requiring an emergency plumber can be stressful, but we’ve got the skills to handle any emergency and the experience to keep cool and calm. There are a number of great reasons to make us your emergency plumber in Olympia. Water damage is progressive. That means that it stacks and multiplies every hour it is left untreated. Our emergency plumbers can determine whether or not you have a progressive emergency and respond accordingly, or help you to schedule an appointment. We are skilled at handling emergencies regarding any plumbing situation you might encounter. 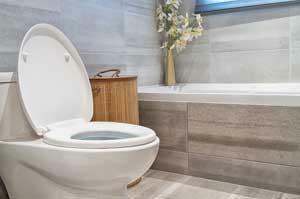 These include everything from your bathroom shower and toilet, to your sink, sewer pipes, septic system and drain. 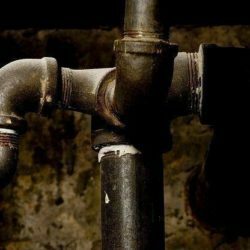 If it requires a plumber, our emergency plumbers are quickly able to diagnose your problem and have on hand all the specialized tools they will need to fix it. We make sure our work is comprehensive and that we do more than just fix your current problem. If you’ve got the potential for further problems, we can inspect your system from top to bottom in order to make sure you have full confidence in your plumbing system. Our emergency plumber services are designed to provide you with professional, friendly, and expert-level service. Whether you’re dealing with a burst pipe, a septic backup, or a clog-preventing you from using necessary facilities, we’ll get your plumbing moving again. When you need a first-rate emergency plumber, call John’s Plumbing & Pumps, Inc. We’ve provided incredible service to the area for more than 60 years, and we look forward to putting our experience to work for you.